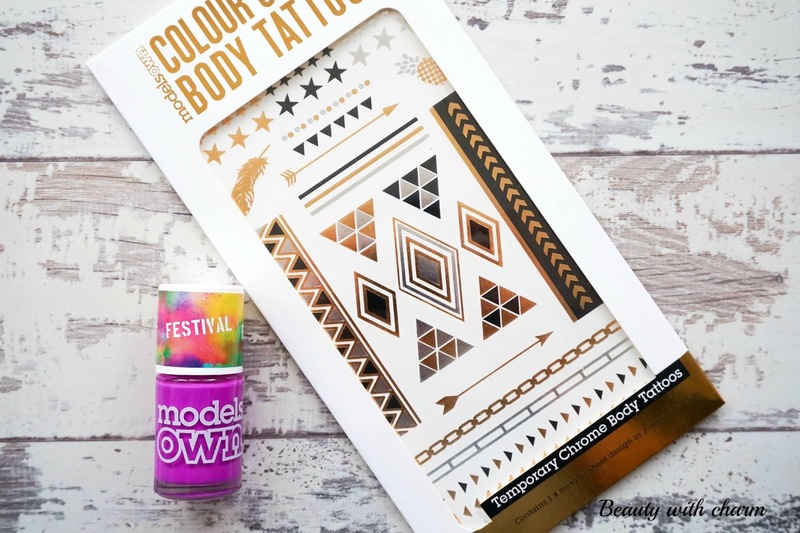 How stunning are these two products from Models Own Festival range? I'm certainly not going to be attending a festival any time soon, but that doesn't stop me from wanting to play around with festival inspired nails and have a bit of fun using this collection. With 5 different choices of nail shades, neon face paints/hairspray & even lipstick choices, there is bound to be something in this range for everyone. 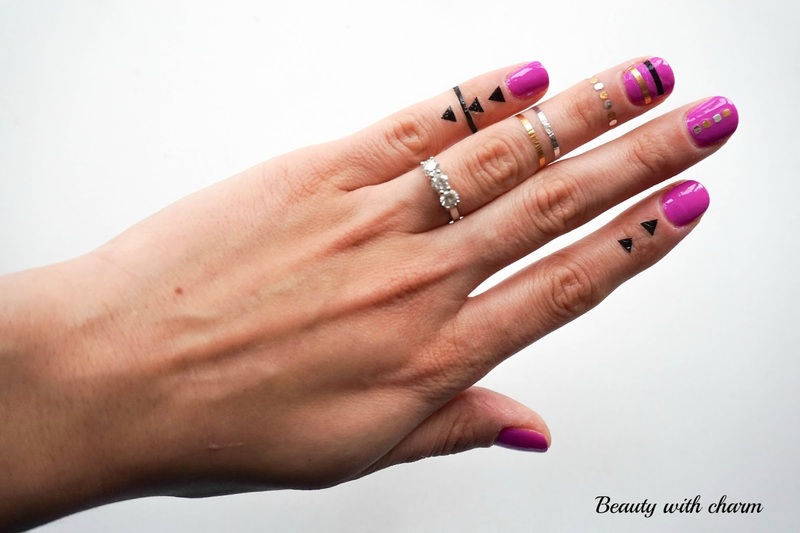 If you are going to a festival I highly recommend checking out this collection… even if you aren't going to a festival, there's no harm in having bright nails or trying out the Chrome Tattoos. My nail polish of choice from this range had to be the Purple Bandana, I mean just look at this beautiful shade (I have no words). I don't have anything like this shade in my collection, not to mention that it really is the perfect mix of purple and pink. The formula is amazing, one coat and I am good to go because the colour is very pigmented. The brush is wide making application effortless and non streaky. I don't have a single bad thing to say about this nail polish and I can see myself wearing this all summer long. I actually don't think that the Colour Chrome Body Tattoos are part of the Festival Collection as such, but I personally think they are perfect for a festival inspired outfit. I'm a total chicken when it comes to tattoos and don't have one single piece of art of my body, so this are a great way to have fun whilst avoiding the pain. There's 4 different designs to choose from and I opted for the Stars version. They are a bit fiddly at first as you do have to cut up each individual tattoo yourself, but once you have the design all you are left with is applying to your desired area. Next you need to get the back of the paper wet as it literally slides off leaving the beautiful design behind. 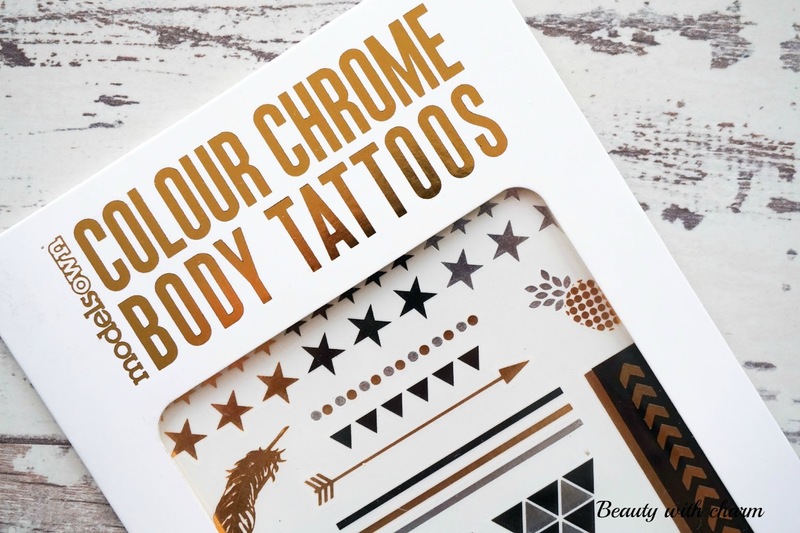 These are the cheapest option of chrome tattoos that I have come across at £4.99 so you really can't go wrong. That's the quick look I decided to do for the post, bear in mind that I had a toddler hanging off me and trying to copy what I was doing. If you do have a bit more time to play around with the designs, you will definitely achieve a better result. 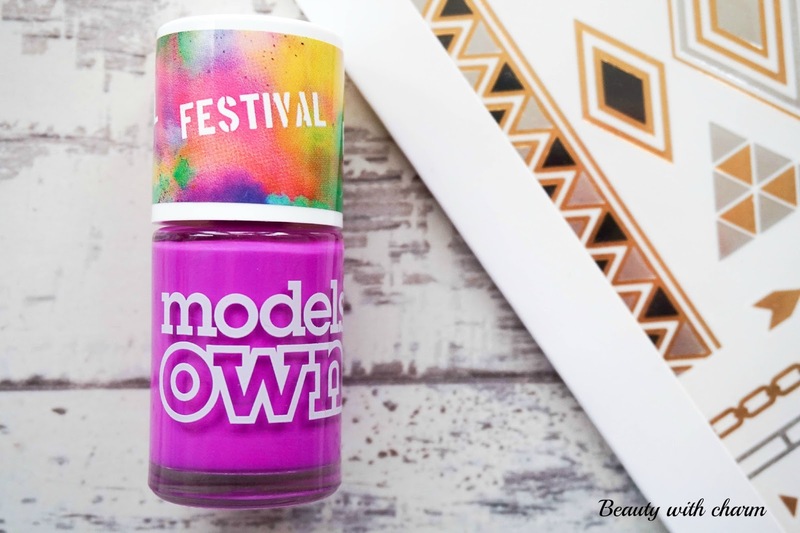 Have you tried the Festival Collection from Model's Own? What are your opinions of Chrome Body Tattoos?